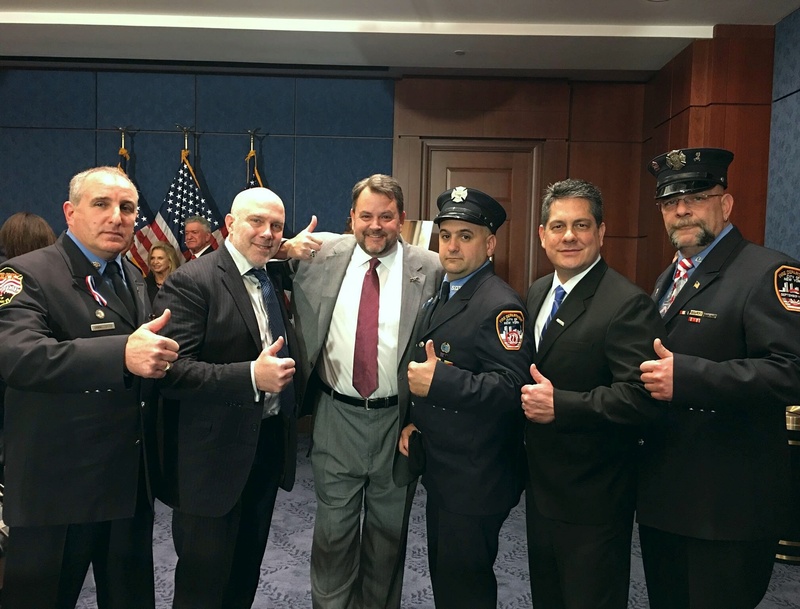 The IAVA Team is celebrating a huge victory today with the Congressional passage of the FY 2016 Omnibus spending bill, which includes key provisions of the Zadroga Act that permanently extends the health care program for 9/11 First Responders. Congress let it expire in September and IAVA made convincing Congress to correct their shortfall a top priority for passage by the end of 2015. This morning, the House voted 316 – 113 just after 9:00 am and the Senate followed suit two hours later with a vote of 65 – 33, sending the bill to the White House where President Obama is expected to sign it. 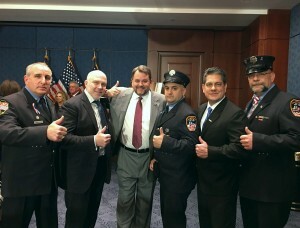 The Senate vote occurred as the IAVA DC Team, Congressional bill sponsors and First Responders began a press conference in the U.S. Capitol Building to mark final passage and the culmination of an effort that included 23 visits to Washington, DC by the First Responders. IAVA Chief Policy Officer, Matt Miller, addressed the media, congratulating the 9/11 heroes for all of their hard work, and compared our effort to the passage of the Clay Hunt SAV Act early this year, saying it was fitting to end this year with another landmark bipartisan bill that saves lives. 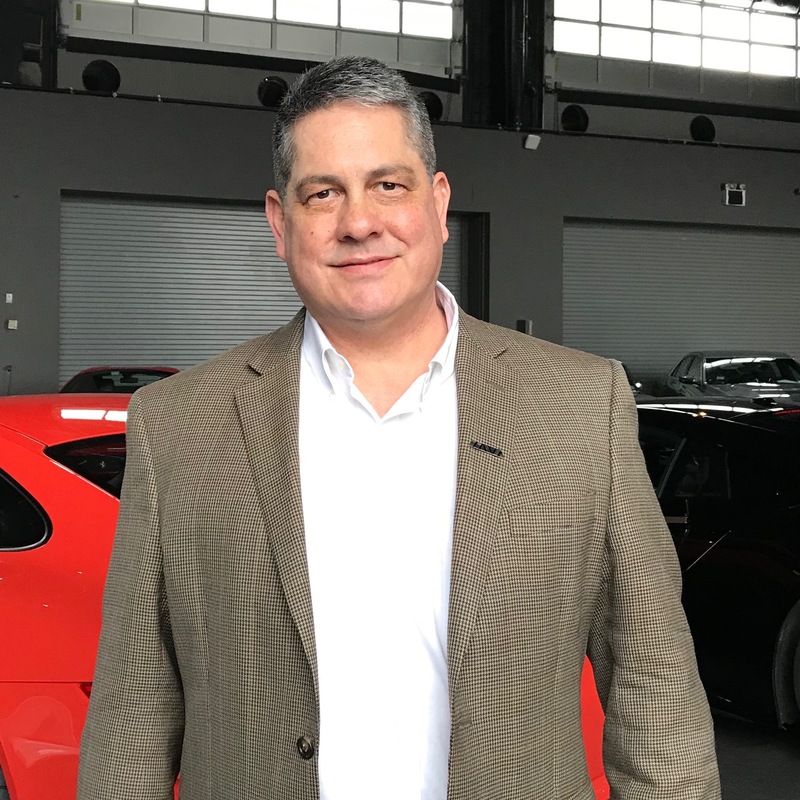 He made special mention of one First Responder who could not make this 24th trip, Ray Pfeiffer – Ray’s efforts were critical in this effort and a number of the speakers made special remarks wishing him well. John Feal of the FealGood Foundation, in introducing Matt, thanked IAVA for their “boots on the ground” and “taking to the internet to help us.” Feal was critical in helping to organize many of the lobbying trips for the First Responders. The best thing about today is that these 9/11 heroes, hundreds who have died since 9/11 of injuries related to their selfless efforts, will never again have to travel to Capitol Hill to beg Congress for their health care.